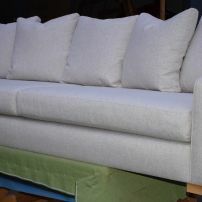 commented on "JARO Linen Sofas - Custom Made or Reupholstery Available"
We can cover your custom made sofa or existing sofa in a modern linen fabric. Large range of light to dark colours available. Email or Text us for further information.